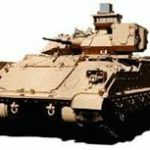 Next Generation Automated Test System (NGATS) –NGATS is designed to support all the weapons systems currently supported by (V)3 and (V)5 and future weapons systems to include M1A2SEP, Bradley, and Future Combat Systems. 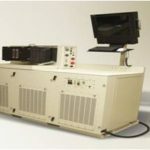 NGATS’ task orders consist of engineering support services integral to automated test, automatic test equipment, test program sets and test measurement and diagnostic equipment. Integrated Family of Test Equipment (IFTE) – Since 2005, MJLM personnel has supported the Product Development System Sustainment Management (PD-SSM) in accomplishing its mission to support the Warfighter in the areas of maintenance, logistics, testing, modification, lifecycle management, and Quality Assurance/Quality Control inspection for the IFTE. 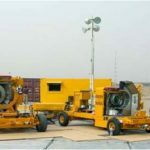 IFTE is comprised of the: Base Shop Test Facility (BSTF) Version 3, Electro Optical Test Facility (EOTF) Version 5, Electronic Equipment Test Facility (EETF), Non-Destructive Test Equipment (NDTE), Commercial Equivalent Equipment (CEE), Electronic Repair Shelter (ERS), and all of the associated Test Program Sets (TPS). Counter-Rocket, Artillery, and Mortar (C-RAM) – MJLM provides Liaison Officers (LNO) and Field Service Representatives (FSR) to supportthe logistic operations of the OCONUS left-behind equipment (LBE) for the Counter-Rocket, Artillery, and Mortar (C-RAM) Program Office. MJLM deploys teams of LNOs to OCONUS locations. Flexible Engine Diagnostic System (FEDS) – MJLM was tasked to perform system upgrades and modifications to the A/ES7T-33 Turbo-shaft Engine Test System (a turbo shaft engine test stand that allows operators and maintainers to test and verify flight readiness status of helicopter engines removed from aircraft for maintenance), also known as the Flexible Engine Diagnostic System (FEDS). Under FEDS, MJLM performed sustainment, fabrication, and prototype development actions focused on improving system reliability and maintenance processes. Furthermore, MJLM developed the Dynamometer Warning System (DWS) prototype used to test the FEDS’ Dynamometer component to ensure it is analyzing tested engines accurately. MJLM also fabricated over 500 interior and exterior FEDS cables during our sustainment support efforts under the FEDS program. Digital-Flexible Engine Diagnostic System (D-FEDS) –MJLM provides engineering and technical expertise to integrate the D-FEDS subsystems and components into an operational D-FEDS unit. MJLM supports the configuration management function of the D-FEDS program. We evaluate Technical Data Packages (TDPs) for completeness and generation of ECPs for inclusion into existing TDPs. Furthermore, MJLM supported the hardware and software upgrades on D-FEDS by updating the corresponding D-FEDS technical documentation, engineering drawings, and technical manuals. Close Combat Weapon System (CCWS) – MJLM provided the CCWS Project Office with technical assistance in the RESET of the Bradley Fighting Vehicle System (BFVS) by refurbishing Integrated Sight Units (ISU) and Traversing Units (TU), reconfiguring 250 Shelters, and testing the electronic circuitry of Missile Simulator Rockets (MSR). MJLM also developed Kitting Standard Operating Procedures (SOP) used to produce, assemble, and deliver Missile Maintenance Tool Boxes (MMTB) for various versions of the PATRIOT missile. 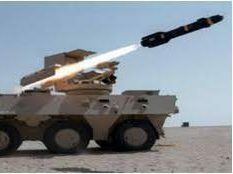 JAMS – Joint Attack Munitions System – MJLM provides technical support and asset management for the Joint Munitions Systems (JAMS) Fielding and Readiness Division through MJLM Field Services Representatives (FSR) and Inventory Control Specialists. 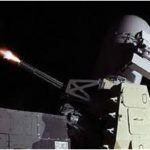 MJLM performs depot-level maintenance actions on the M272, M279, M299 HELLFIRE launcher, and M36 Training Missile to return systems to fully-mission capable (FMC) status. MJLM further supports JAMS system upgrades by providing Technical Writers to update JAMS technical manuals and publications to the most recent configuration based on Engineering Change Proposals (ECP) and system modifications. 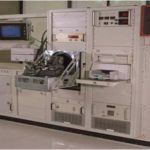 Test Equipment Instrumentation Support Program (TEISP) – The Test Equipment Instrumentation Support Program (TEISP) is a support project aiding Government organizations with their test equipment maintenance needs. Within this program, MJLM manages equipment repairs, storage functions, and shipment processes for TEISP. 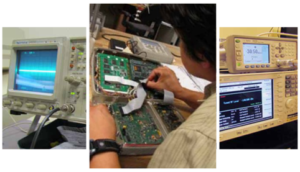 Specifically, MJLM provides component-level repair of electronic test equipment, as well as a means to perform technical publication verifications and engineering testing. Through TEISP, MJLM is able to provide Test, Measurement, and Diagnostic Equipment (TMDE) support to the following Defense organizations: US Air Force Materiel Command (USAFMC), US Air Force Security Assistance Center (USAFSAC), US Army Test Measurement and Diagnostics Equipment Activity (USATA), Software Engineering Development Center, and the System Sustainment Management Directorate (SSMD) internal organizations. Defense Logistics Agency (DLA) Fabrication – For over 10 years, MJLM has been fabricating components and parts for our Government customers to include the Defense Logistics Agency (DLA) Land & Maritime along with DLA organizations represented at Redstone Arsenal. 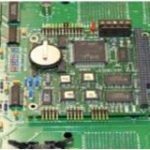 As a DLA “Approved” Vendor, MJLM is known for providing DLA with solutions to their circuit card assembly (CCA), and cable assembly fabrication requirements. All of MJLM’s processes are in accordance with our ISO 9001:2015 certification, Government standards, and best business practices. RESET/Refurbishment – The RESET/refurbishment process involves all aspects of sustainment from system maintenance and repair to inventory control and system reporting.MJLM’s approach to RESET supports U.S. military war/contingency operations by reporting supply information into Defense supply databases, identifying inventory replenish points, and fulfilling system RESET distribution requirements. MJLM uses historical data records from Government database to identify the technical requirements needed to RESET military equipment to its 10/20, Depot-level standard. MJLM then provides our customer with recommendations regarding the initial planning of inventory quantities, Depot/maintenance requirements, and cost associated with the RESET process. As the program is executed, MJLM will perform and track maintenance actions, inventory reviews, budget analysis, and compile status reports to ensure the equipment is returned to the Owning-Unit on time and within budget. 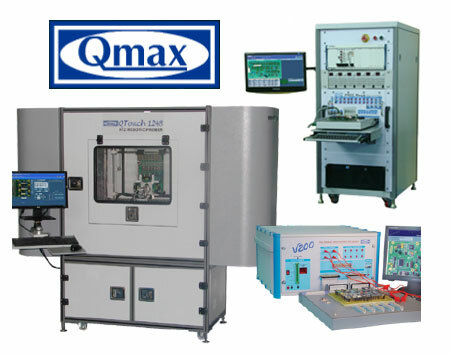 QMAX Test Stations –QMAX is a global leader in Automated Test Solutions. 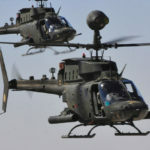 As an “approved vendor” for QMAX, MJLM has the ability to develop a wide range of test software used to support various markets including defense, aerospace, automotive, and telecommunications. For our customers, MJLM uses various QMAX devices to perform fault analysis, diagnostics, and repairs of Line Replaceable Units (LRUs) and Shop Replaceable Units (SRUs). Current customers of QMAX include DoD, Samsung, Sanyo, Panasonic, LG, and Motorola.